Home brewing kits allow the average Joe (or Jane) to brew beer from home with no previous beer brewing knowledge or experience. Here's what you'll need. Looking for awesome drink recipes? Not a list of 1000s of drink recipes - just the ones every bartender needs to know. 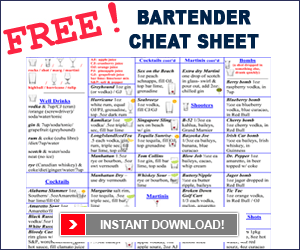 Plus free downloadable bartender cheat sheet!